Fly your hexed broom around a cemetery avoiding ghosts telling stories! Collect batteries to keep your electric car charged while going for maximum distance. Keep the humming bird fed by navigating difficult terrain to reach the nectaring flower! Save the kids from the cracking ground, before the world falls. Gotta get the first down, alone. Shoot arrows at hovering targets! Shift your element to fight off the others! Fly a paper plane through a crazy tunnel. itch.io Community » Game Development » Release Announcements · Posted in Archer - Released! It has been an entire year since I released my very first game, Archer, a puzzle-like, physics-based speed-running game where you shoot arrows in a cave. Thanks to generous Twitch viewers and supporters, it has thus far made $175.50. This is nowhere near to covering the costs of development, which was approximately $2600 in time costs. For the last 10 months, I have been working hard on a rocket-boosted racing game that has online multiplayer, drifting, big air, flips and tricks. That is a great score and so far you take the top of the best score charts! 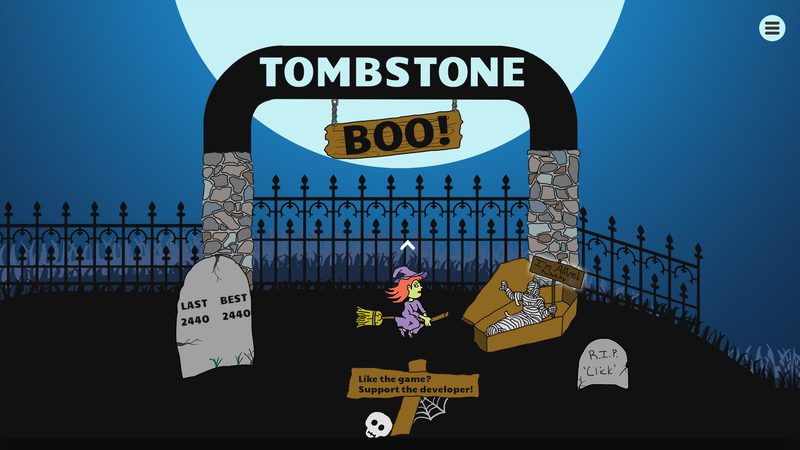 itch.io Community » Game Development » Release Announcements · Created a new topic Tombstone Boo! Boo! Did I scare you? No need to be scared playing this Halloween game, riding a hexed broomstick through a cemetery filled with mobs of ghosts. Avoid as many as you can for a high-score! Archer community · Posted in What additions would you like to see? Thanks for the input, I have actually heard both of these points a fair bit and although I completely agree the 'aiming locked to certain points' feels a little odd, it was an intentional design decision because Archer is a puzzle shooter. It ensures that all screen resolutions can shoot all the targets, including trick shots, and that the trick shots are possible & easier to hit/aim for. There are some 25-35 possible shots vs 100s. But I agree, clunky. Pulling the mouse into the screen to aim AT the mouse instead of pulling back was tested in development and felt weird to most players; The general consensus was it did not feel like a 'bow and arrow' mechanic. I'd love to hear more about what feels slow, is it the transitions/walking from segment to segment, the enemies spawning? Arrow speed was set to give a bit more anticipation of hit/miss. Archer community · Created a new topic What additions would you like to see? Later in the year Archer will receive an update to add some polish and improve the experience. What features / things would you like to see in this update? itch.io Community » Game Development » Release Announcements · Created a new topic Archer - Released! Take on the role of a marksman Archer and adventure through Mount Doom's caverns. Careful, the slumbering dragon may not let you pass without first playing his games. Archery is a skill easy to learn yet difficult to master! Available on Windows, MacOS and Linux!